Bar Meatball. The name alone made me want to check it out. It’s located in Virginia Highlands in the space previously known as Pozole. I really enjoyed that restaurant and was sad to see it go, but Bar Meatball is a pretty fun replacement. 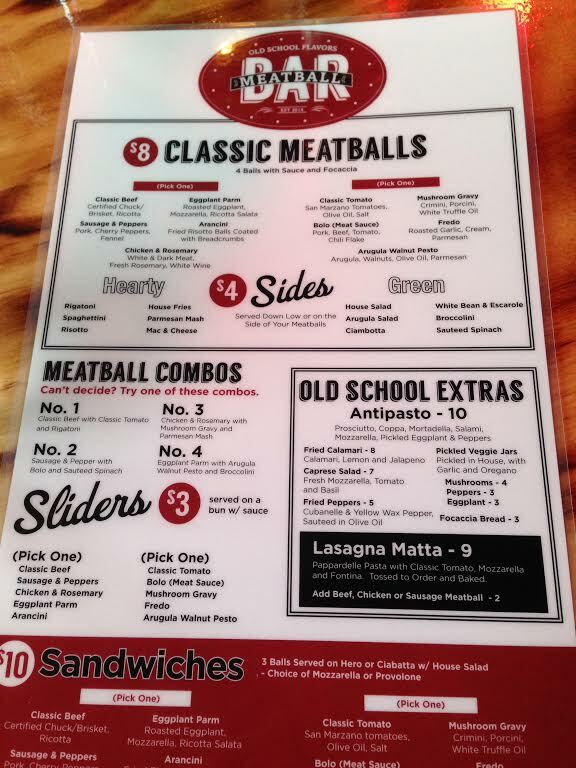 Don’t get me wrong — they mostly just serve meatballs… so if you don’t like ’em, you probably don’t need to visit. 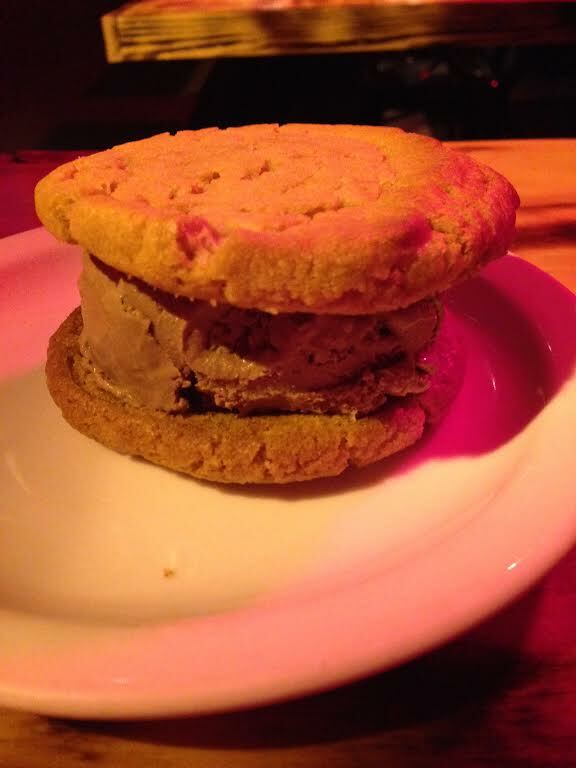 HOWEVER — if you like ice cream sandwiches… GO. 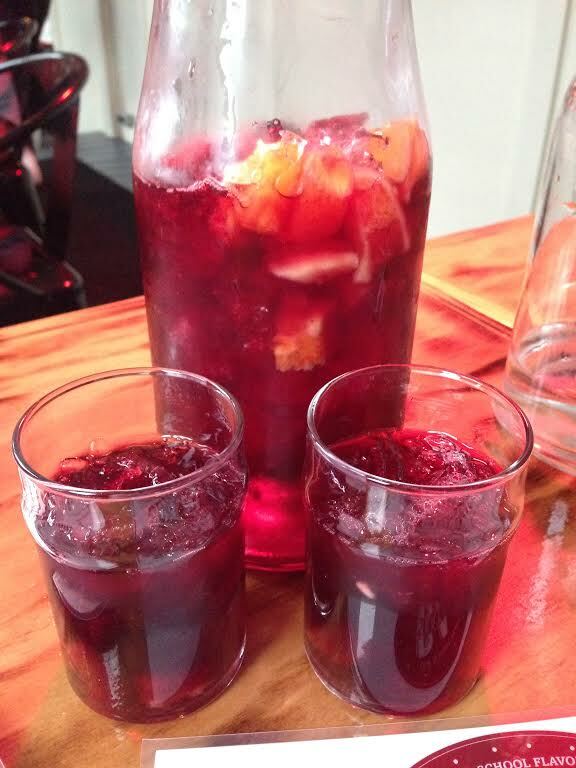 Red Sangria — pretty good, but very heavy on the brandy. 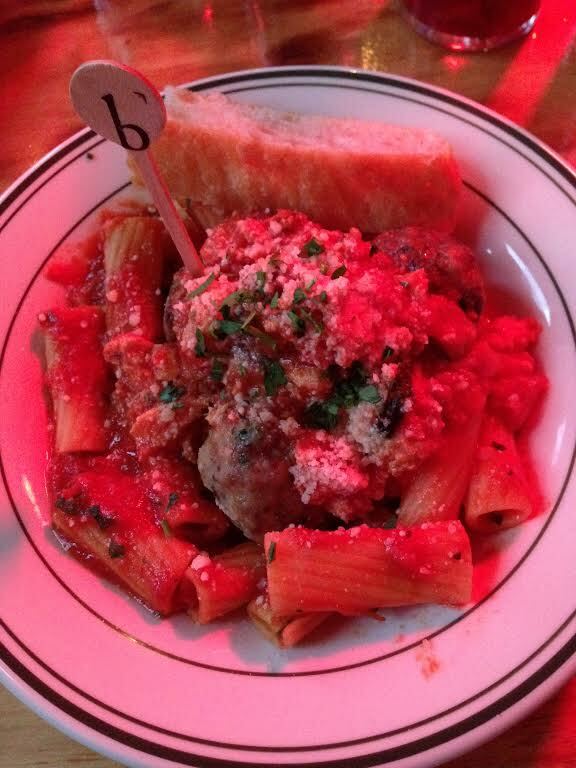 Classic beef meatballs with bolo sauce, served over rigatoni. Each dish comes with a piece of focaccia. I enjoyed the wooden markers showing which type meatballs we each ordered. Sausage and peppers meatballs with bolo sauce, served over the special risotto (something with sausage included in it, and it was delicious). For dessert, three of us got our own ice cream sandwiches, and one got the Italian donuts with chocolate dipping sauce. Double chocolate cookie with peanut butter cup ice cream. Peanut butter cookies with chocolate ice cream. 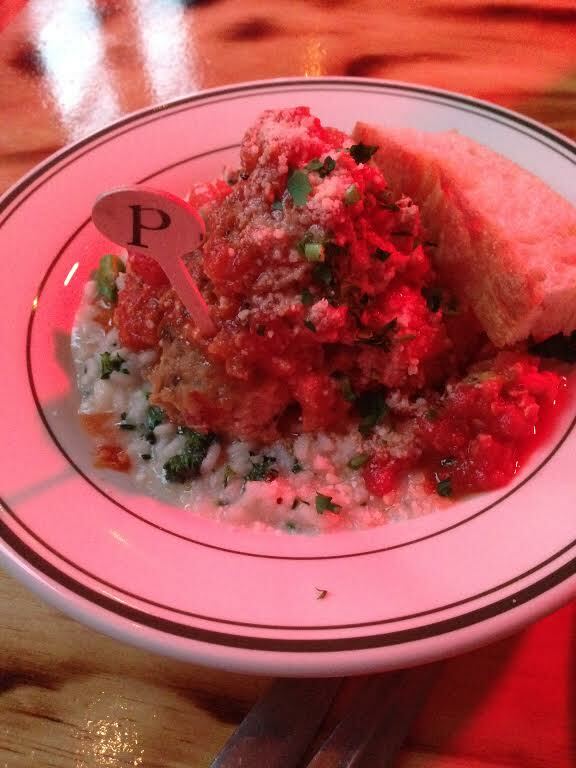 Meatball lovers, you’re in for a treat! Those ice cream sammies look amazing! !